The 9″ x 12″ heavy-duty pre-soaked towels are ready to use immediately. 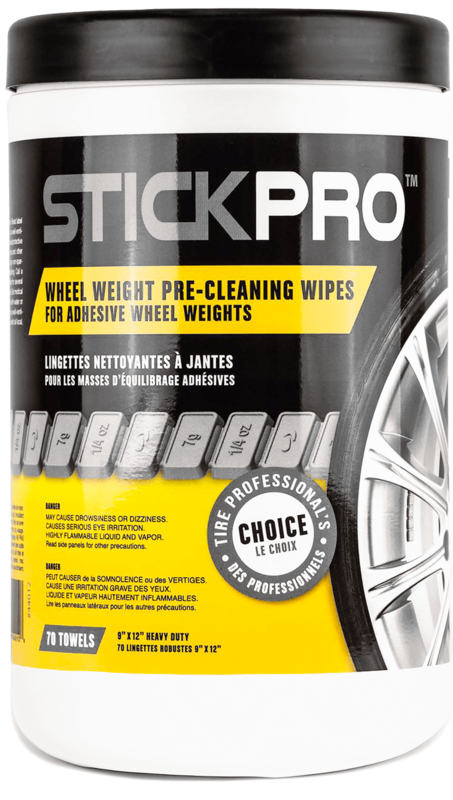 StickPro wipes are your new go-to partner in wheel weight pre-cleaning. Save time and money! Abrasive fibers in each towel make cleaning rims a breeze. StickPro pre-cleaning wipes clean over 200 wheels per container. One easy-open canister includes 70 pre-soaked towels, no rinse required. Removes brake dust, grease, and residue with ease. Grab. Clean. Stick. Click on each step to learn more. 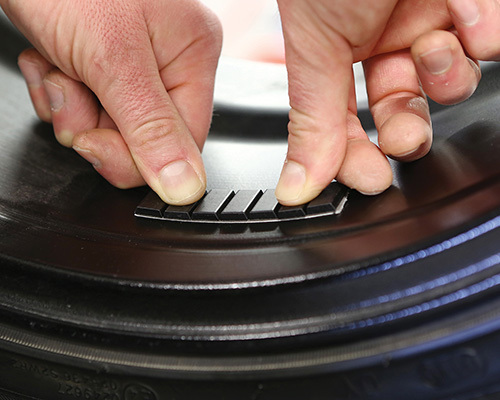 Clean the area where the wheel weight is to be applied using StickPro wheel weight pre-cleaning wipes. 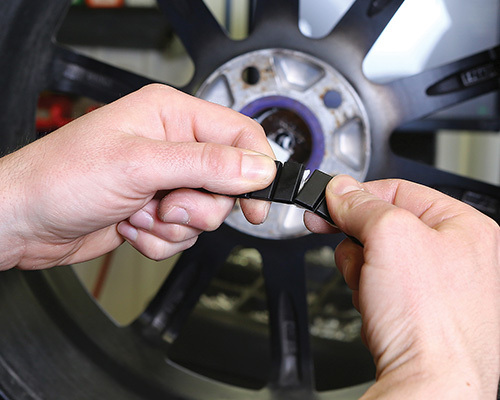 Break or tear the adhesive weights apart depending on the size of weights needed. If the adhesive weight is not precontoured follow the instructions below, otherwise go directly to step 4. Before removing the liner, apply the weight against the wheel and using your fingers gently contour the shape to the radius of the wheel. 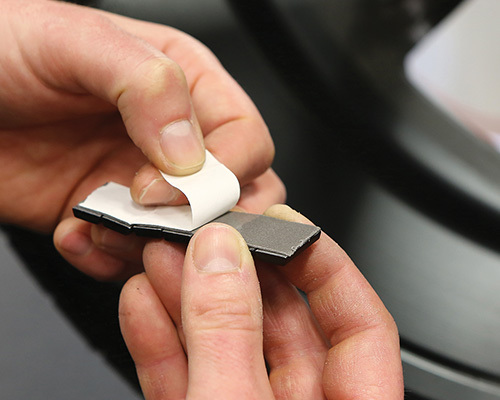 Remove the liner and avoid touching the exposed adhesive. Center the weight to the imbalance point. Using your fingers, apply a uniform pressure throughout the surface (do not use a hammer). 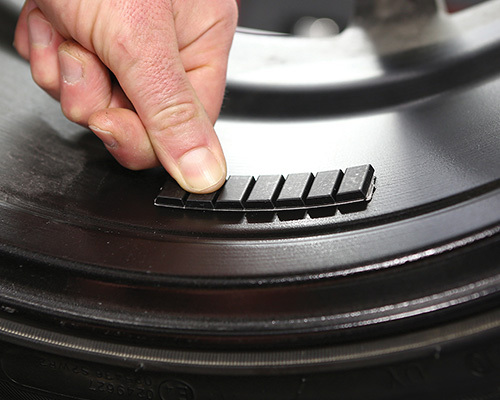 Most of the time, mechanics do not wipe the wheels with a clean soft cloth prior to wheel balancing, resulting in adhesive weights falling off the wheels. For quick & easy balancing, having a clean wheel is the key to success and StickPro wheel weight pre-cleaning wipes help you achieve that goal every time. 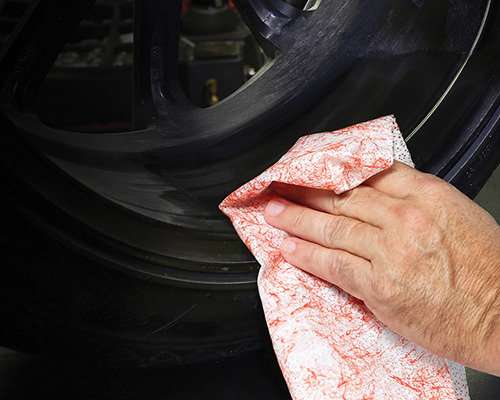 In addition to improving adhesive wheel weight adherence, StickPro wheel weight pre-cleaning wipes easily cleans the rims and removes brake dust & grease without the need for any use of water. It is suitable for alloy, steel, aluminum, chrome or varnished wheels and even works on plastic wheel covers, when used as directed.